Why have planned maintenance for your drains? 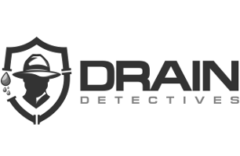 When we launched Drain Detectives in 2017, we spent a long time thinking about what the name of our new company should be. Drain rods are probably the first tool your drain engineer will reach for when he arrives at your property to clear a blocked drain or manhole. However, a week doesn’t go by when we don’t get a call from a frustrated customer who has got drain rods or an attachment stuck in the drain. Why have a pre-purchase drain survey? You don’t need to have a drain survey before you buy your house, do you? This is the question that comes up most often when domestic customers call us about a problem they are having with drains on their property. If the drains are your responsibility, then you must pay for blocked drains to be cleared and all drain repairs. If however, the drains are the responsibility of the local water authority, then “it’s happy days”, because they must do any repairs and you don’t pay a penny. So it is quite important to know. 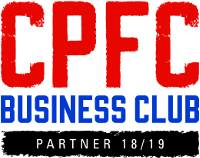 This is our first post of hopefully many, over the coming months and years. What can you expect in terms of content? There will be probably the usual standard posts about what should or should not be put down the toilet etc. Then maybe the odd interesting anecdote from our wonderful drain engineers out on the road, hopefully without too many graphic images (! ), but maybe with the odd nugget of wisdom from “inside the manhole”. We are the experts with everything to do with drains, whether it is a blocked drain, a drain survey or drain repair across the South East including Kent, Surrey, Sussex and London.